Government Made Major Changes In National Pension Schemes See Who Will Get A Benefit: If you start saving yourself with a fixed amount at the beginning of your job, your future can be completely secure. National Pension System (NPS) has become a better option to secure the future. The benefit of this scheme can be taken by any employee working in government as well as in the private sector. But now the government has made major changes in this scheme. This change will benefit the government and crores of government employees. So let's know about this change but before that, it is important to know what is the NPS. In fact, the National Pension System (NPS) is a Retirement Savings Account. It was started by the Indian Government on January 1, 2004. First, this scheme was only started for government employees but later on, it was started for the private sector as well. Here, the minimum age for opening an NPS account is 18 years and the maximum age is 65 years. 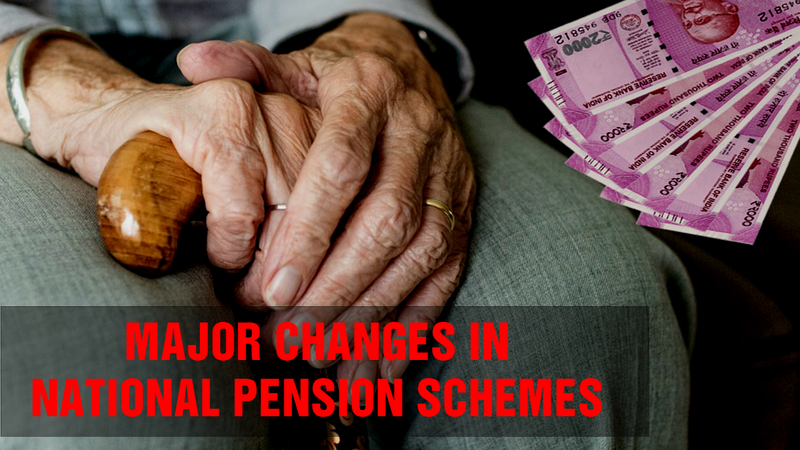 According to PTI news agency news, the government has now increased its contribution to the National Pension Scheme (NPS) by 14% of the basic salary of the employees. This contribution is currently 10%. However, the minimum contribution to government employees will be 10%. The government also approved tax incentive under Section 80 C of Income Tax Act to contribute up to 10% of the employees. At present, the contribution of government and employees is 10-10% in NPS. In addition, in the Cabinet meeting chaired by PM Modi, government employees have been approved to retire 60% of their total deposits at the time of retirement, which is currently 40%. Additionally, employees will have the option of investing in fixed income products or equity shares. If the employee does not decide to withdraw any part of the amount deposited in the NPS at the time of retirement and transfers to 100% pension scheme, then his pension will be more than 50% of the salary received for the last time. However, according to PTI, the government has not announced this decision in view of elections. But soon it will be announced. If it was announced during this time, then the code of conduct could be considered a violation.